As part of my birthday weekend "extravaganza", my husband Gabe and I stayed at Hilton Orlando Bonnet Creek to take part of their annual Cupcake Lovers Weekend. I have heard many wonderful things about this weekend full of cupcakes but still left wowed (and on a sugar coma). 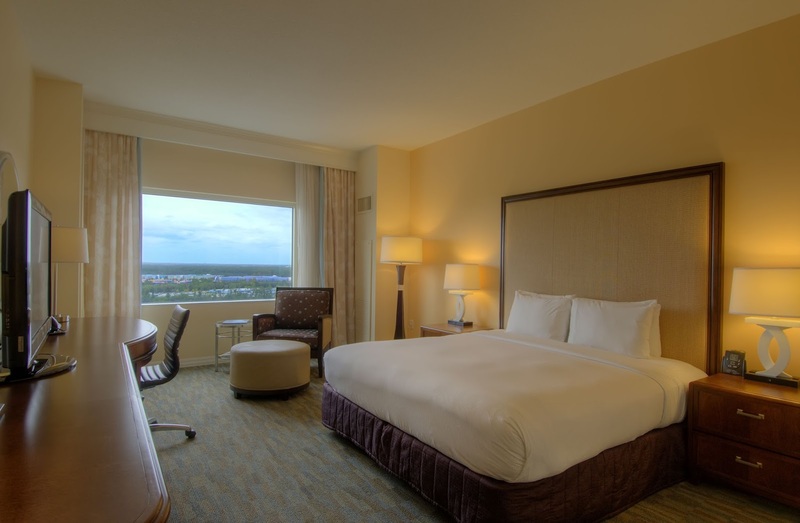 Waldorf Astoria Orlando so you have multiple accommodation options. Since we had a 6 month long reservation at Le Cellier in Epcot for my Birthday Dinner, we did not get a chance to dine on site this time around. Although we ate enough cupcakes for a small army. After an early check-in, we headed down to the pool for an hour before the lightning set in. We watched the cupcake walk, the Ducktona 500 and various other activities that are part of Hilton's Summer Blast. 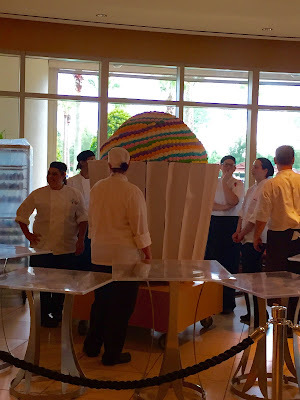 The Big Reveal is when all of Hilton Bonnet Creek's talented Pastry Chef's come out and present a giant cupcake filled with 2,000 amazingly decorated cupcakes. 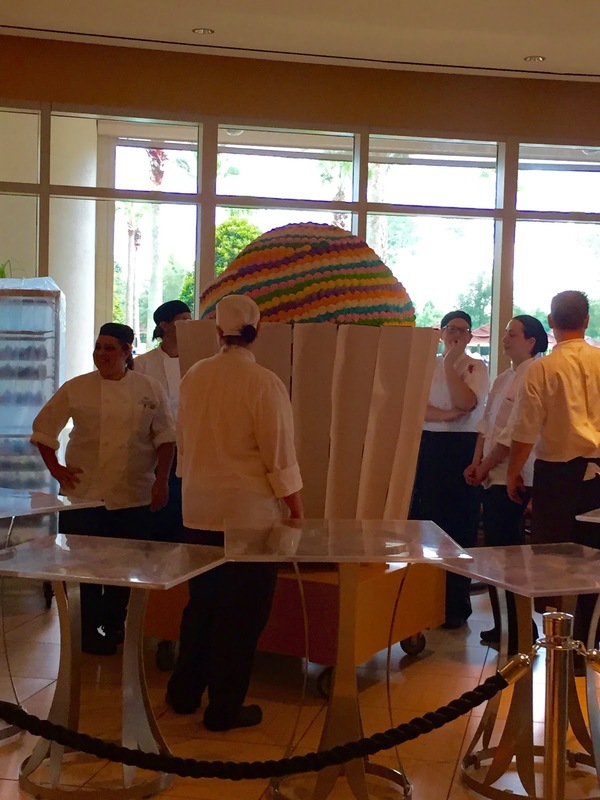 Following the big reveal, Gabe and I went to check out all the cakes on display, created by team members at Hilton & Waldorf Bonnet Creek. Guests voted on their favorite design. 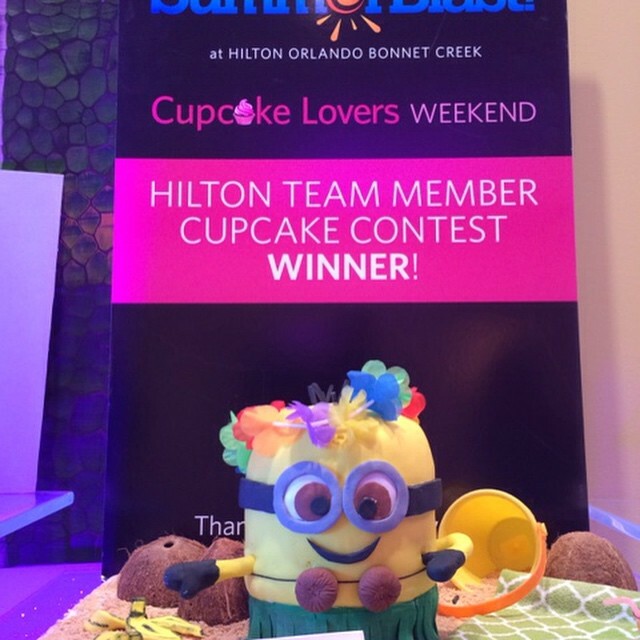 The cake I voted , Minions created by The Hilton & Waldorf Valet Team ended up winning! Breakfast cake! Your eyes are not fooling you, this is cake. It was the most intricate of all of the cakes on display. Candy Land! Loved loved loved this one. A giant cupcake and ice cream cones. One of the many Jurassic World cakes on display. We finally headed back to our room so we could get ready for the night. We had all intentions on enjoying a cupcake martini at Myth Bar. Within minutes of being in the room, room service stopped by. My friends at Hilton Bonnet Creek gave me a nice birthday surprise - build your own cupcakes, chocolate covered strawberries and champagne. Talk about knowing my favorite things! 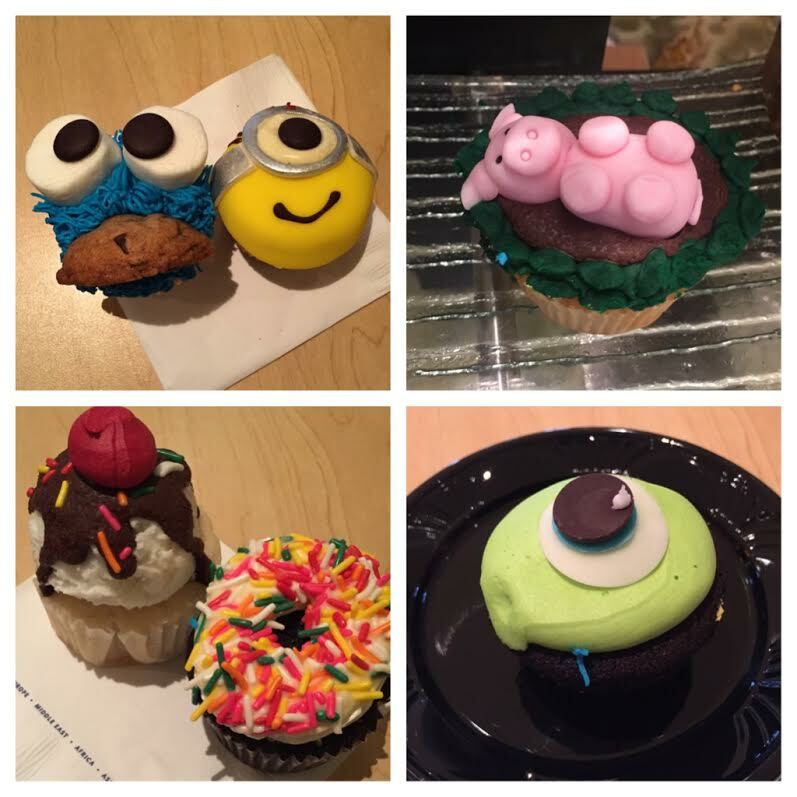 Cupcake Lovers Weekend will be on our calendar of events for years to come. This was such a fun time and who could turn down 2,000 cupcakes? 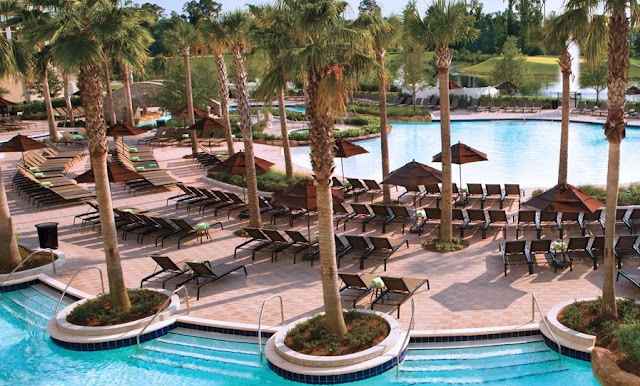 Click here to see the rest of Hilton Bonnet Creeks Summer Blast programs. You can also follow them on Facebook, Twitter and Instagram to stay in the loop with upcoming events.